Steel Framed Buildings, Extensions and Alterations. Our premises after we refurbished the buildings. We are a small family run business located in the historic hamlet of Sempringham, near Sleaford in Lincolnshire. 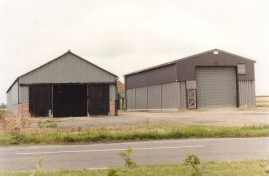 B. Pope & Sons Ltd has been operating for more than 20 years, specialising in the manufacture of steel framed buildings. 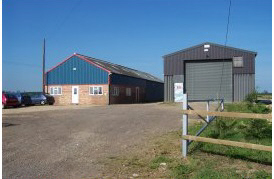 All our agricultural buildings are designed to B.S. 5502 and now all conform the new legal CE Marking requirements for structural steelwork. We provide a personal service that can only be obtained from using a family run business.